What do you do when you’ve got 270 stations on the London Underground and a day off from work? You take a trip to London with Echo and you ride the rails. The mission? Complete the entire Circle Line! Simple, only 36 stations, what could possibly go wrong? Well, first you got to get there, which meant changing trains. Starting on the Jubilee Line and heading to the Piccadilly Line to capture the wrong half of Hammersmith station. So Green Park ended up being the first station hit. Sadly, there wasn’t much to do here apart from move from the Jubilee Line to the Piccadilly Line so with a quick photo capture, we moved on. At least we got to enjoy the cool coloured tiling they have on the walk between the two lines. Once on the train to Hammersmith, the mission could begin! 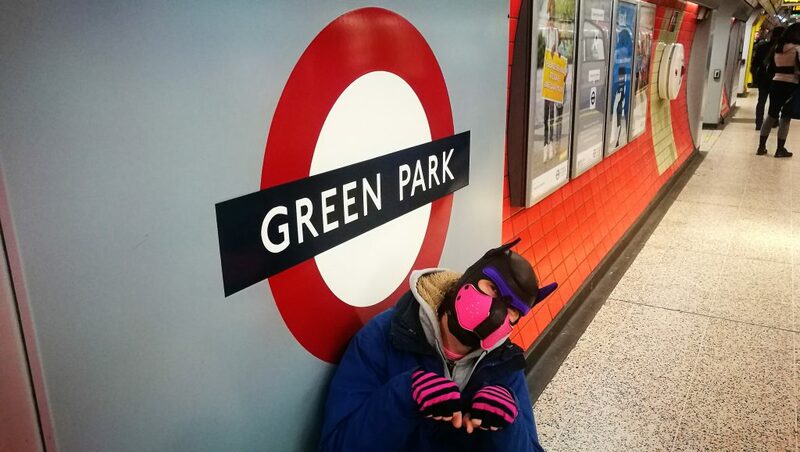 Echo joins the adventure around the Circle Line and therefore also captured Green Park (Underground) on 23/01/2019. This entry was posted in 2) London Underground, Jubilee Line, Piccadilly Line, Victoria Line on January 23, 2019 by CondorBriarpup.